You are required to go through a 4-part pre-enrolment registration process, please ensure you register and login to start your pre-enrolment process. Here you are expected to create a login account, after which you will be required to login and complete the forms provided. You are expected to either print out or save the pre-enrolment slip at the end of the process. This slip is an important document to complete your enrolment at any of our nearest enrolment centres. Welcome to the website for enrollment of National Identification Number (NIN) for National Identity Management Commission (NIMC), Nigeria. 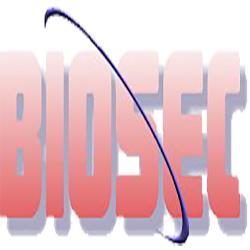 Biosec Solutions has the mandate from NIMC amongst service providers to enrol Nigerians in diaspora in the National Identity database. Do you want to create or reschedule an Appointment? Dear citizen, please enter your registered email address and click "Proceed" or click "Make Payment" to start your registration. For Frequently Asked Questions or an enrolment process guide? Authorized Enrolment Payment Agents can login here to receive payment.